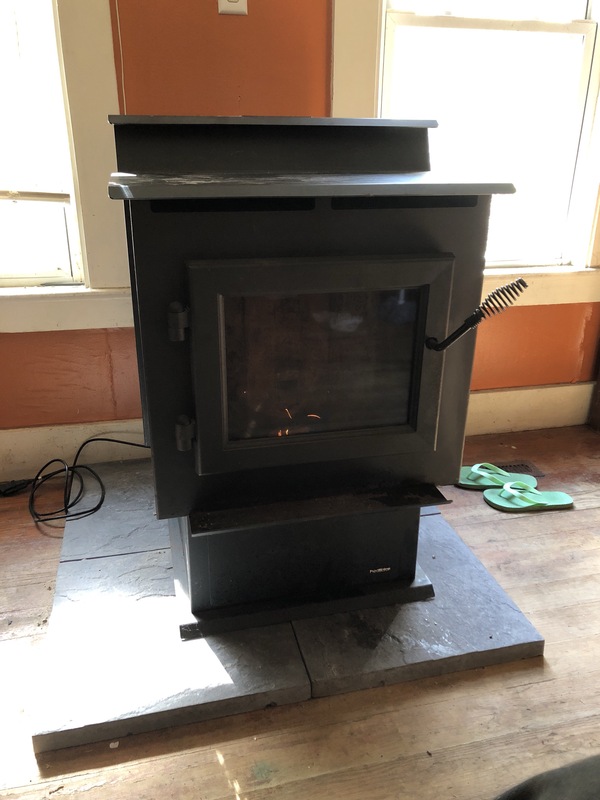 Today’s project is getting the new pellet stove in and ready. 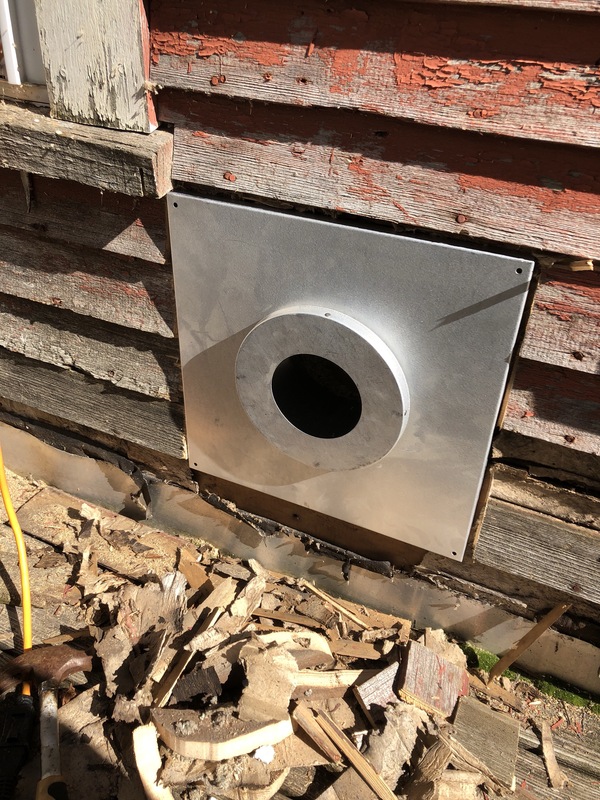 It will require a new vent installed, which starts with a hole in the wall. 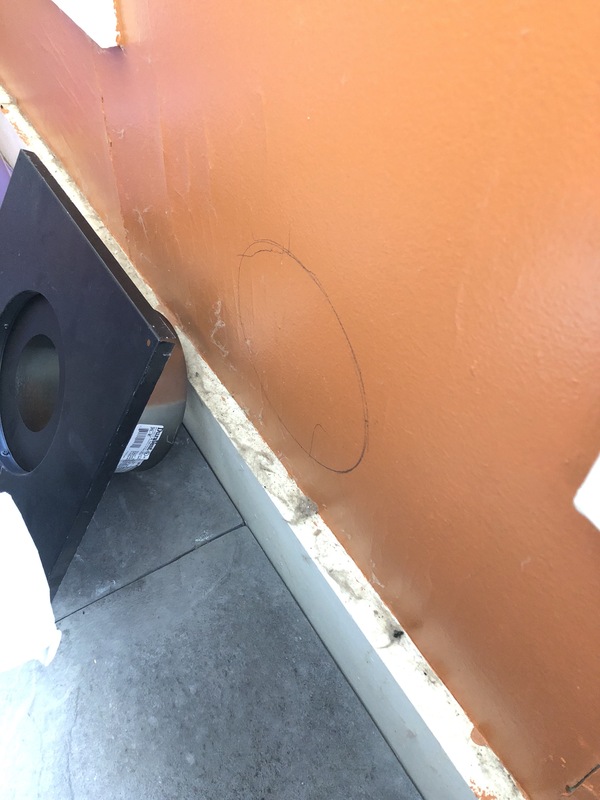 I’ve started out by marking the holes location on the inside wall. As is usually the case with this house, the walls have never even heard of “standard”. I’m grateful for the metal cover that came with the thimble. It will easily hide the ugly hole. 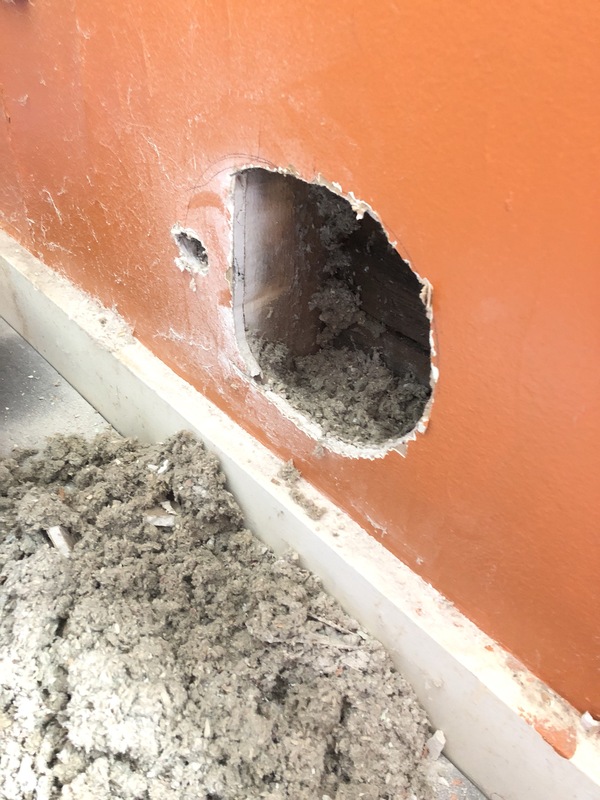 The next step is some cleanup and pushing the hole to the outside. The outside hole is in now and the thimble fits. Now to marry the two halves and pretty it back up. The thimble is inand everything is tidy. Not to set up the piping. This step of course needed a trip to the hardware store because one brand of pipe will not fit another brand, that would be too simple. Plus I misplaced my stove caulking. While at the hardware store I of course forgot to get the pipe strapping for the vertical portion. I swear some days my brain has an inner troll that just loves to mess with me. Once the pipe was all assembled and caulked. It’s time to kick the tires. And it’s off! It’s going to be a really nice winter this year. A nice cozy fireplace in a quiet room. Next PostThe third installment of the chicken saga.